Spotify started trading on the New York Stock Exchange moments ago. And, after a few hours of behind-the-scenes buying and selling, its official debut public price has been revealed – $166 per share, resulting in a market cap worth approximately $29.6bn. 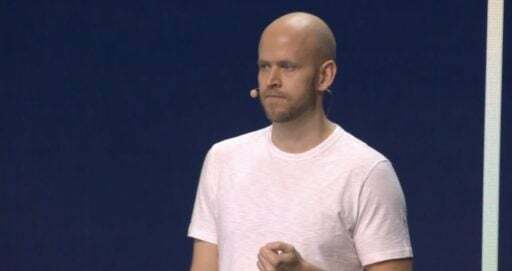 The news comes after months of speculation regarding Spotify’s official valuation, with analysts recently reporting that private trades of the company put its worth anywhere between $18bn and $44bn. Spotify’s valuation stood at just $8bn as recently as May 2015, according to reports in the financial press at the time – meaning that this figure has more than trebled in less than three years. Experts have warned, however, that some price volatility is expected in the wake of Spotify’s unusual ‘direct listing’ approach to flotation. According to documents filed with the US Securities and Exchange Commission (SEC) in the past month, Spotify has registered to make available an 55,731,480 ordinary shares on the NYSE today (see below chart for details). 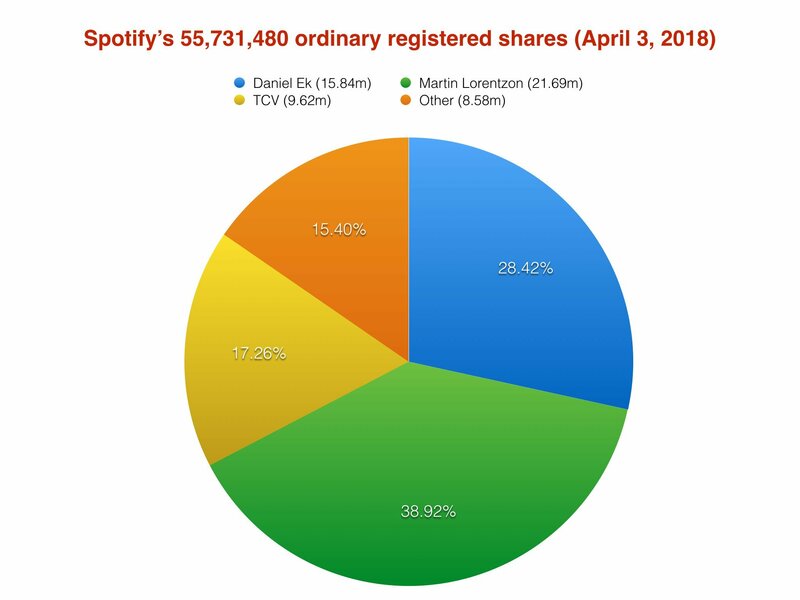 Daniel Ek owns 28.4% of these 55.7m publicly registered shares (15.84m), with his Spotify co-founder Martin Lorentzon owning a further 38.92% (21.69m). The third biggest shareholder of the stock available for sale today is TCV – whose 9.62m shares make up 17.26% of the 55.7m. The remainder of the SEC-registered shares (15.4%) are owned by Spotify employees and other shareholders. To be clear, the 55,731,480 shares which are permitted for sale today make up a minority of the total ordinary shares which exist in Spotify – a number which stands at 178m. Daniel Ek, for example, controls nearly 50m ordinary shares but has registered just 15.84m. 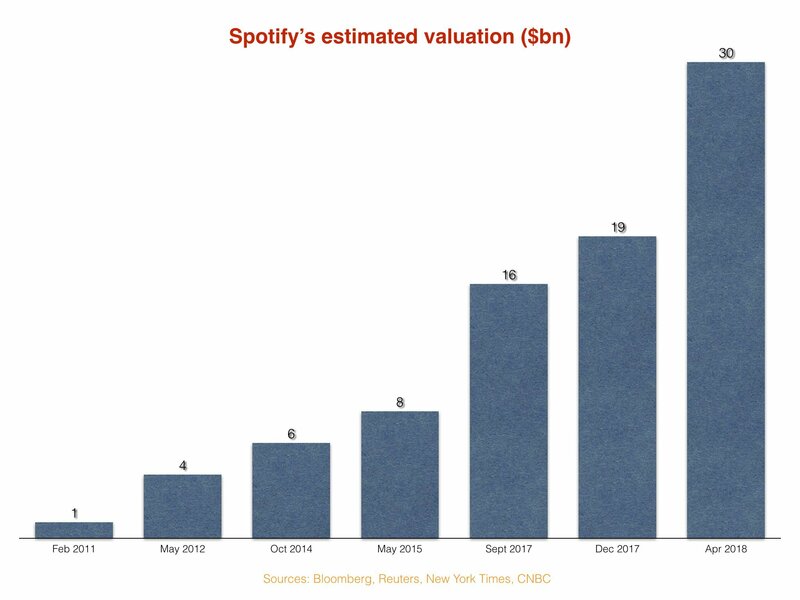 Still, that 15.84m, at Spotify’s opening valuation today, is worth some $2.6bn. Martin Lorentzon’s 21.69m registered shares, meanwhile, are worth $3.6bn. Interestingly, Sony Music – which owns 5.7% of total ordinary shares in Spotify – appears to have opted not to sell its stake on the first day of trading via SEC registration. One company that has offloaded its stake in Spotify is Swedish telco giant Telia. The Stockholm-based company bought a 1.4% holding in Spotify back in June 2015 for $115m. That stake, which has likely been diluted in size since then, was recently sold in a series of private trades for $272m – a 2.4X return – according to an announcement from the firm today (April 3). In doing so, Telia has avoided the uncertainty of selling its stock on the NYSE. “We wish Spotify all the best in its next phase as a truly global listed company. Spotify has been a fantastic investment for Telia Company, both from a direct return and a partnership perspective,” said Johan Dennelind, President and CEO of Telia. He added: “As I mentioned during our Investor Day, our focus isn’t on the initial splash. Instead, we will be working on trying to build, plan, and imagine for the long term. “Sometimes we succeed, sometimes we stumble. The constant is that we believe we are still early in our journey and we have room to learn and grow. “I have no doubt that there will be ups and downs as we continue to innovate and establish new capabilities. Nothing ever happens in a straight line — the past ten years have certainly taught me that. My job is to ensure that we keep our foot on the pedal during the ups, so that we don’t become complacent, and that we continue to stay the course with a firm grip on the wheel during the downs.